Ever tenacious and determined to succeed the McConkey clan started McConks SUP a few years back with the aim of providing affordable yet well-made inflatable stand up paddle boards. Juggling family life and multiple work scenarios hasn’t been easy. We caught up with Andy McConkey to find out more. Tell us about McConks’ history – how did the company come about? I’m not sure there’s much of a story to tell here. Although Jen and I had been keen (but very average) surfers and windsurfers for many, many years, SUP wasn’t something that appealed to us until we had kids. Once we had our boys, we wanted a watersport we could all do together, and not just take turns child minding on the beach. After having paddled on a couple of old windsurf boards at our local sailing club, and having just bought a small house in the Cotswold’s, inflatable SUP seemed an obvious choice for us. 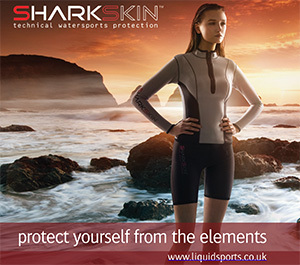 And when we looked around at the price of iSUP, and looked at all the marketing with young girls in bikinis and surfers with ripped abs, we felt that there was a place in the market for a brand a bit different to the others. A bit more #dadbod friendly, a bit more family friendly and less image-conscious. Basically, a brand that would appeal more to people like us. I think we have fond memories of most of our stand up paddle trips! In particular, we remember paddle boarding amongst barrel jellies at beautiful Mwnt in Ceredigion. West Wales is a favourite of ours, and that coastline is just perfect for exploring. Paddling in crystal clear water above kelp forests on Cote Paganiste (the Pagan Coast) in north west Brittany. The coastline is quite other-worldly there, and paddling amongst house sized granite boulders with orange skies will be a treasured memory until we go back. Paddling off a yacht in our own secluded cove in Croatia, sunset paddles, and stories on the yacht by Captain Pirate Nathan (for the boys not us), is this year’s current highlight. And numerous halcyon family summer afternoons and evenings at our picturesque local spot on the Thames by Lechlade with BBQs, sunny swims and the kingfisher swooping past. And, of course, being knocked off the boards by giggling small children! This will sound really lame. But family camping in a deserted field by a river or beach, with big moons and beautiful sunrises and sunsets after a day on the water. Hammocks strung up – one for each of the four of us – or maybe one less to encourage cuddles, and campfire roaring. We also love a bit of single track, but that’s been a bit on hold recently, although we’re training the boys up on our local mountain bike trail in Swindon. And we’re close to the French Alps in August, so maybe, just maybe, we can get the bikes out at Avoriaz or Morzine. Where did the idea for a range of iSUP products come from? In a densely populated island, with house prices going ever northwards and new houses getting smaller, inflatable boards just make sense. 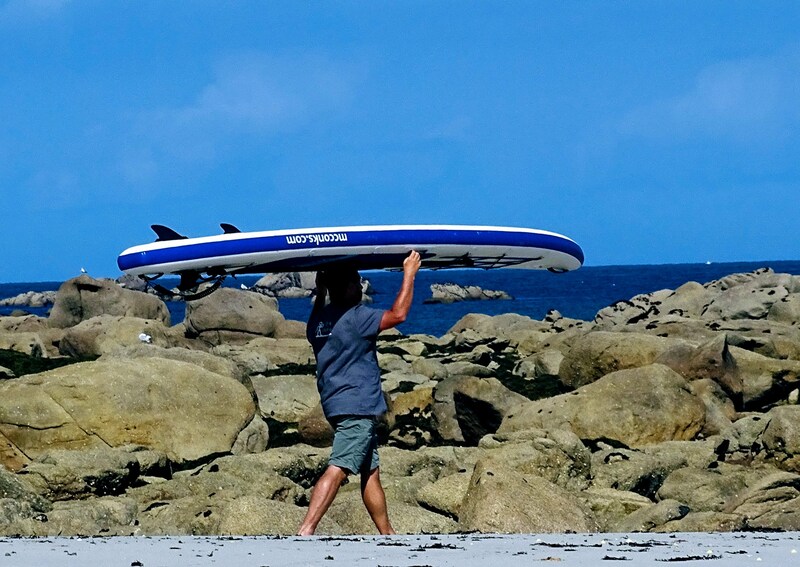 There’s an awful lot of snobbery out there about inflatable boards, but there’s a good reason why they outsell hard boards, and that’s because they are the right choice for most people, most of the time. This includes us. We would never be able to store, or transport, hard boards, or they’d end up buried in the depths of the attic like our surfboards! What’s been key to your success within SUP? Our experience is that if you make good quality, reliable kit at a good price, and you listen to your customers rather than preaching to them, good things follow. We’ve also had lots of really good feedback on our #GoInspire initiative, and the good reviews of our kit and our customer service on social media also play their part. Most days involve paperwork. Lots of it. Printing labels and sorting logistics, responding to customer questions, paying invoices, sorting out the accounts and producing new designs. As a small company we probably do way too much between the two of us, and that will have to change over the coming years. In terms of testing, we now have a large cohort of brand friends who are instructors or run SUP companies, and we use them to test our products. 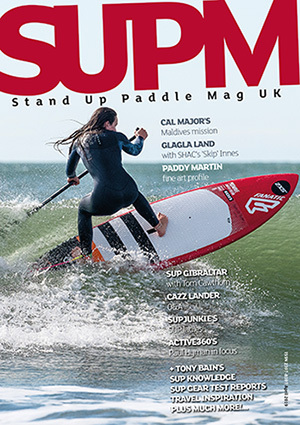 It might be the weather, it might be the increasing publicity that SUP is getting, it might be a critical mass thing, but we’ve not had to try to sell SUP kit this year. Quite the opposite in fact. We have totally failed to meet demand. Right now we’re out of all of our SUP lineup other than the Namaste Yoga Board, and the kids Go Surf SUP. And we have single figures of each of those left. Our next shipment is due at the end of July, and a significant percentage of that is sold to pre-orders. We actually think that by the time it arrives, we will have sold it all. Our sales are up about 300% year on year. It’s just been a totally mad year! What’s the plan for the rest 2018? Which areas will you focus on the most? Getting more kit to customers who are waiting patiently for it. We’re trying to plan for 2019 at the same time, and thinking about what other products we want in the line up. Expect to see more in the organic and fair trade garment line that we do – hopefully some rashies and board shorts, and our floating bamboo and wood polarised sunglass range will hit the shelves soon. We’ve got some new whitewater SUP prototypes to test when the rains come back, and we’ve got some mini touring boards (11.4 and 11’6) and a 14 foot explorer board to test. And finally, we’re revisiting all our packaging for 2019 to remove all trace of single use plastic, and make it all as sustainable as possible. So, from that, I don’t think we’ll be focussing on any area the most – it’s a little bit of everything. Any final thoughts on SUP or McConks? 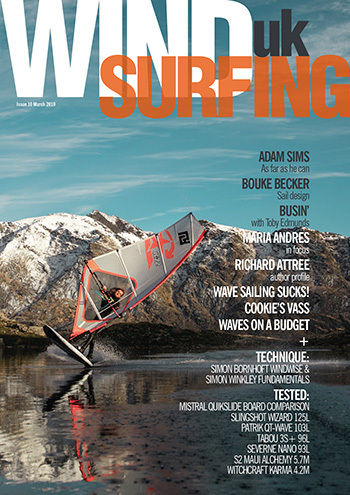 There’s an awful lot of elitism on social media and in the mags about cheap inflatable boards and how the influx of budget boards from China is going to destroy SUP. We couldn’t disagree more. SUP is a playground that is open to everyone, and these lower priced boards are getting more and more people on to the water. So if you’ve only got £250 to spend on a budget iSUP, go ahead and knock yourselves out. But make sure you go in to the purchase with eyes wide open and get an experienced paddler to check over the board when it arrives. And when you’ve got the bug, and need to upgrade to a decent carbon paddle, or a more rigid inflatable, McConks has got you covered. We’d like to thank all of our amazing customers, many of whom have become friends as well, for purchasing our boards and spreading the word. Lots of our business has been a result of word of mouth and some pretty amazing and humbling feedback, and we are truly grateful for that. We also have to say a huge thanks to the companies and instructors that took a chance on a small, unknown, company in our first couple of years. We’re standing on the shoulders of giants with you folks. You know who you are! We’d also like to thank our boys for putting up with the times that the business has intruded on family life, although we work hard to make the business a positive rather than a negative for them and minimise impact on the boys. Oh, and not forgetting the parents trying to do the school run and being thwarted by a massive lorry making a delivery and blocking the road a hundred yards from the school gates! !